GEN’XERS JUST LACK THE NUMBERS . . .
by Jamie Greening.In Church, Culture, Movies, politics.Leave a Comment on GEN’XERS JUST LACK THE NUMBERS . . . But we have the skills. The title of this blog post is a quote from the Sunday paper article highlighting the passing of the torch from Baby Boomers to Millenials. The piece appeared in our local paper, the Austin American-Statesman, but was written by Rick Montgomery of the Kansas City Star. Remember, baby boomers were on both sides of the guns at Kent State. The Gen Xers—those late -30-and 40-somethings in between—just lack the numbers. Montgomery is talking about politics, but it is true in just about every realm of culture—business, boardrooms, entertainment, and yes, especially church life. The fact is there are not many Gen Xer pastors. Boomers, yes. Millenials, yes. Gen Xers are a rarity, and it is only becoming more pronounced as you look at the ‘church planting’ movement. I am not against church planting, but that is the focus of much church/denominational life today, and I do not know if it is intentional, but a by-product of this movement is to skip Gen Xers, because it is millennials that people want to reach. No one really cares about the 30-and 40-somethings in America right now—those people who have teenage children, a mortgage, aren’t cool or hipster, and are just trying to love their families and friends. But we have skills. We have mad skills. I had the privilege of speaking last week to some pastors, and one of the things I was talking about was leadership styles, and I just referenced that I was a Gen Xer and that colored my view of church and life. A big part of that is being noticed or singled out is not really what matters to me. What matters to me is being a part of a tribe—my group—and expressing myself without fear or condemnation within that group. The freedom to do what I want to do without being told I am wrong or stupid. 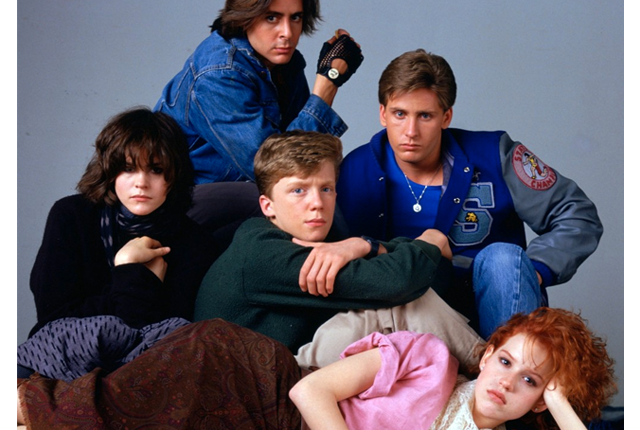 If that sounds familiar, it is because most Gen Xers are still locked away in that library on a Saturday morning with the rest of The Breakfast Club. I have a prediction. Some of you will not like it, but here it goes. The Millenials have started fast, but alas, they will falter, sputter, and in many ways fail. Their failure will be because they have been so busy being important, clamoring for their 15 minutes of fame, and vining that they have not developed any real skills. That is when Gen X will come to the rescue, after our kids have grown up and the mortgage is paid. We have mad skills, and we will save the world, with Alive and Kicking playing in the background.